Call (770) 514-5055 to schedule your appointment! Do you wish you had a dentist that you looked forward to seeing? 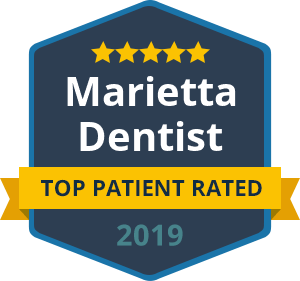 If you live in the Marietta or East Cobb area, you can depend on Marietta Dental Professionals for top quality dentistry in a comfortable, stress-free environment. We have a team of dentists who bring years of experience and talent to your family’s dental care. 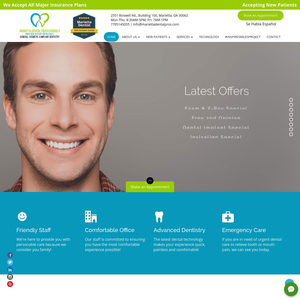 We offer general, restorative and cosmetic dentistry in one place. With our ability to treat all aspects of your smile through all stages of life, you’ll gain unrivaled convenience and valued confidence when choosing our practice. Taking meticulous care of your smile is always important to us. Your oral health can impact your overall health as well as your quality of life. At Marietta Dental Professionals, we realize that your dental needs can be widespread. Our team is prepared to handle it all, whether you need cosmetic treatment to erase your imperfections or advanced restorative care to replace missing teeth. We also offer top ranked solutions to fix decayed, diseased or damaged areas of your smile, and we can even provide specialized treatments for sleep apnea, bad breath and more. When addressing your dental concerns, you can trust that we use the most advanced technologies in the industry including ZOOM teeth whitening, 3D cone beam imaging and other cutting-edge systems to make your dental treatments comfortable, safer and more efficient. What’s keeping you from getting the professional dental care your smile deserves? Is it anxiety, cost or time? At Marietta Dental Professionals, we do our best to address these obstacles. Our East Cobb practice offers sedation dentistry, same day appointments, easy financing and more. Call today to discover a new experience in family dental care.